Reading progress update: I've read 59%. "we are going to a party"
Review ~ I love Dresden! For those who like to read things in chronological order this story is set between the novel White Knight and the graphic novel Down Town. 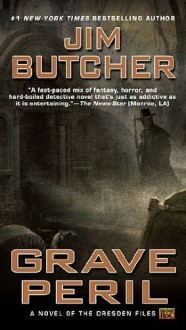 I love the world of Harry Dresden and I delight in each book and graphic novel I can get my greedy little hands on. This one was a birthday gift from my hubby, so yay! 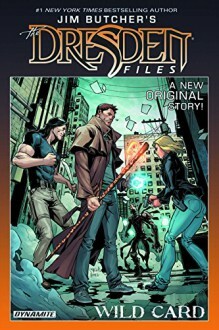 Even though this is a short story in graphic novel form, everything I love about the Dresden Files is present: humor, snarkiness, Big Bads, mystery, and magic. I love it. On the other hand, I’m not so enamored with the artwork. It’s only so-so for me since I don’t think anyone looks how I pictured them. Which wouldn’t ordinarily be a bad thing, but I just had a hard time with everyone being so buff. Harry? No. And Marcone? Seriously?! Absolutely not. Anyway, great story, meh artwork.